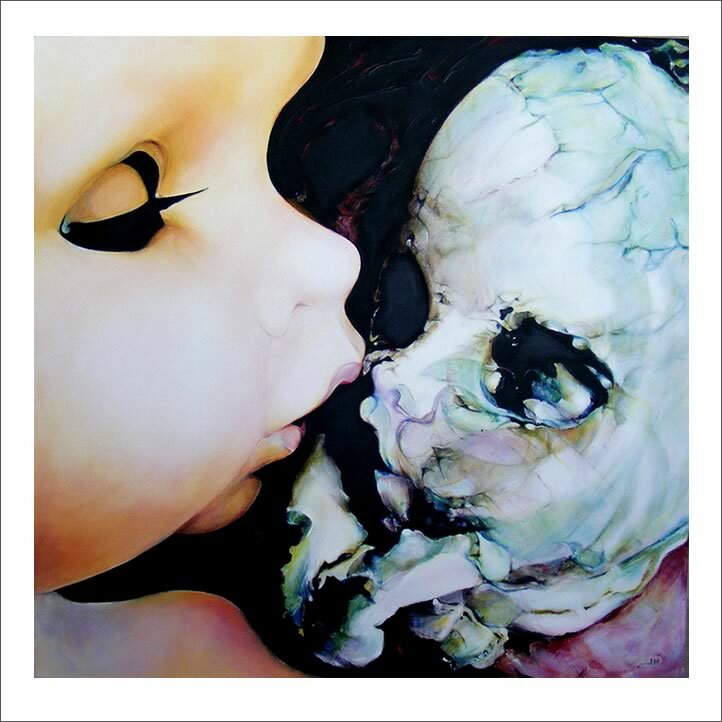 Jane Mason: “Currently, I am working on a series of paintings involving the imagined child and its spirit. This is a development of my earlier work, which used ceramic heads to depict the emotional shock that can occur in childhood. The themes in my latest work play on aspects of ‘spirit’ as friend and guide, either before death, at point of death release, then after.